Righteous Oaks Farm is a diverse small family farm. 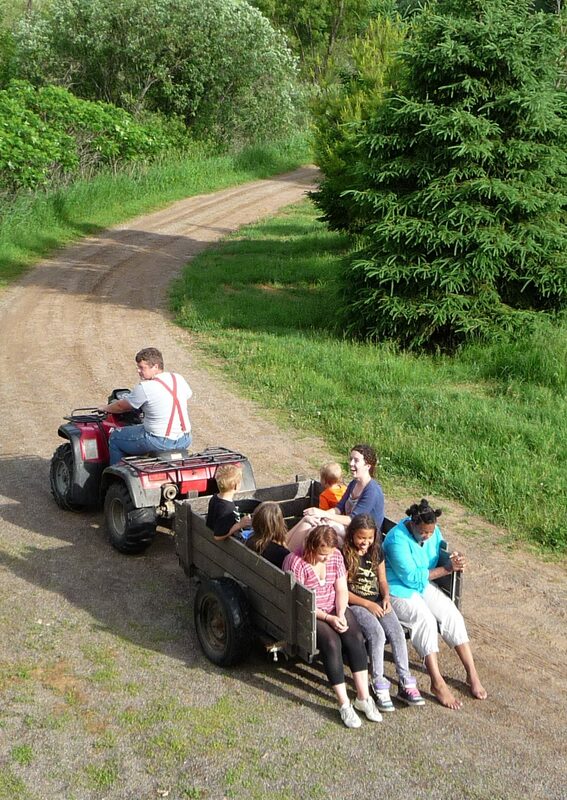 We are located on our century family farm in southern Aitkin county. Our foundational philosophy is to exercise careful dominion over the resources that have been entrusted to us rather than careless exploitation. Some might call us sustainable or ‘beyond organic’. Pastured Pork, 1-5 lb. packages. Available cuts: chops, tenderloin, steak, roast, spare ribs, fat, ham hocks, and cottage bacon. Brats, Cheddar Brats and Italian Sausage!! We direct market all of our products to customers primarily within our community and to the St. Paul/Minneapolis metropolitan area. We often deliver to a drop site off of 694 and University Ave in Fridley, MN. Give us a call (218) 927 — 1425. We’d love to talk with you. More of our story? Click here. Getting away from it all can really bond people together. Shared experience provides for deeper relationships.